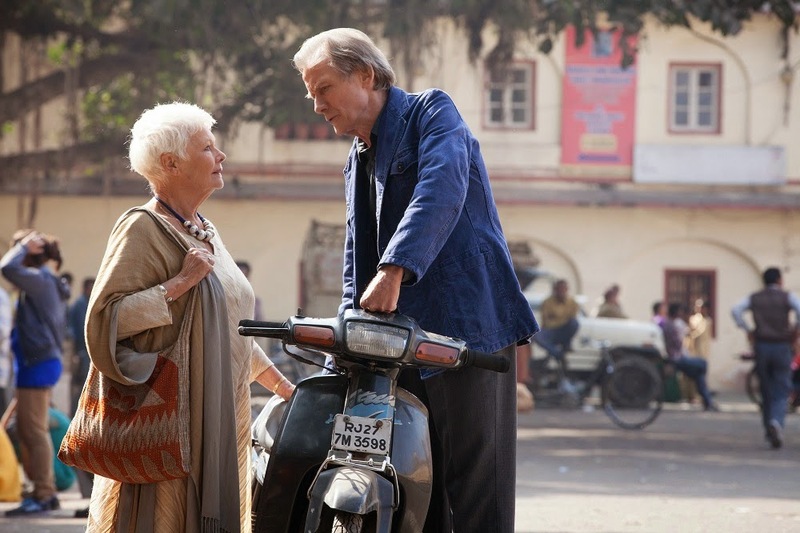 2012’s sleeper hit The Best Exotic Marigold Hotel was one of those films that many wouldn’t even think that there’d be a sequel considering how nicely it has ended. But when the money comes back more than 10 times, it’s hard to say no. Plus, the production budget is as low as the first film ($1 million) and apparently it’s already made more than 7 times before its release here in Malaysia. Director John Madden (Shakespeare in Love), writer Ol Parker (Now is Good) and many of the ensemble cast returned for this sequel, and thanks to that, this forced continuation didn’t turn out that bad. So instead of leaving rest to the happily-ever-after assumption, some problems from its predecessor are prolonged, so if you haven’t seen the first film, it’s very advisable that you watch that one first to know the characters and their respective situations, and also you may not want to spoil the better film for yourself. In this “second best” film, it takes right where it left off previously where most of the retired old folks have decided to stay at the hotel in Jaipur the capital city of Rajasthan in Northern India. The grumpy and once racist Muriel Donnelly (Maggie Smith) is still the hotel advisor and assistant for the young energetic Indian entrepreneur and hotel manager Sonny (Dev Patel) as they travel to California to propose their second hotel plan to a big investor. The investor is intrigued and tells them that they will send an anonymous inspector to evaluate their hotel and services. 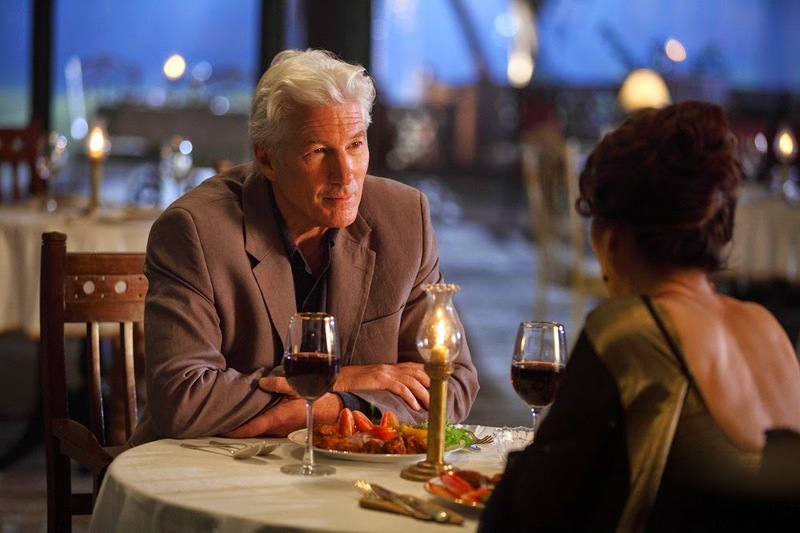 And with that comes Richard Gere (Arbitrage, Pretty Woman) who plays Guy Chambers, a visitor who Sonny strongly believes may be the investor’s inspector. Sonny’s wedding preparation is becoming more disastrous as he abandons everything to try to impress Guy and feels threatened when a potential love rival suddenly appears to help out on his wedding. 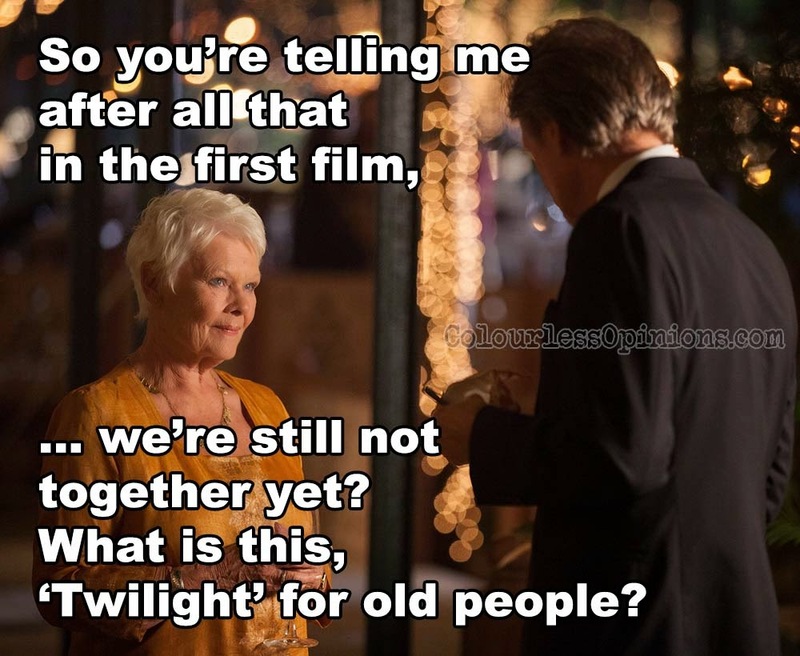 Whereas for the other characters, Evelyn (Judi Dench) and Douglas (Bill Nighy) are still not officially a couple yet and things become more complicated for the former when she receives a full-time job offer which requires a lot of travelling. 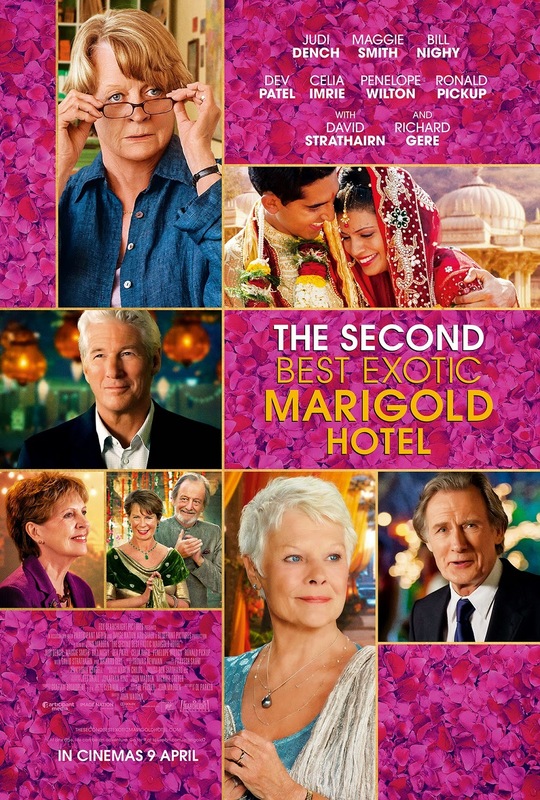 Madge (Celia Imrie) is dating 2 wealthy Indian men and has a dilemma on which to marry. Norman (Ronald Pickup) may have accidentally hired a taxi driver to assassinate his wife. The story of the film does indeed sound forced, cliched and predictable, but with the charming performances, beautiful cinematography and a mix of Indian setting, traditions and culture, the film is still quite enjoyable, especially if you’re a fan of the first film. It may feel that it’s not as strongly relatable, witty or emotionally engaging as the first film, but it’s still executed and performed in a way that’s not cheesy, thoroughly comfortable to sit through and somewhat heartfelt even though you knew what’s going to happen. I’m not sure if Jaipur is as ideal as the film portrays but The Second Best Exotic Marigold Hotel succeeds in showing and providing a hope that if you have enough retirement funds and decent health, you can still have a lot of fun, adventures and drama in the second half of your life at a place such as this hotel if it exists. Malaysia censorship: Nothing to cut. Don’t worry, it’s still not that kind of hotel for old people. Second opinion: Although my girlfriend didn’t watch the first film, she still felt that this sequel was fun and quite heartwarming.